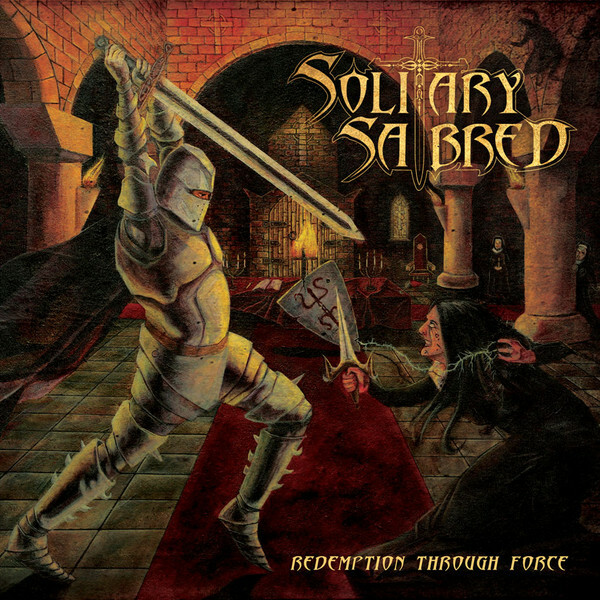 Forged in the sounds of the glorious 80s Power Metal, the new album of SOLITARY SABRED from Cyprus is a shocking masterpiece of its kind. “Redemption Through Force” was private released in summer of 2014 in only 300 copies and now is officially re-released by No Remorse Records, so everyone will have the chance to get this masterpiece of Power Metal. Highly recommended for fans of 80s US Power Metal and bands like HELSTAR, JAG PANZER, SANCTUARY and CAULDRON BORN.